Bugaboo Day Home is operated out of a beautiful, well-maintained, family home. Inside the day home is a sunny and bright playing space. Our play room has a large assortment of toys, games, and books. Our delicious homemade meals and snacks are lovingly prepared in a clean and sanitary kitchen. The children eat together as a family around the kitchen table. Downstairs we have a cozy and quiet dedicated quiet room. This is where your child will have an afternoon nap or period of rest. At Bugaboo Day Home we are continuously playing hard and enriching and stimulating our senses. With our high physical activity level it is vitally important that children are given a time and an environment suitable for rest and relaxation. All children, regardless of age, are expected to rest in the afternoons. A morning nap is provided for younger children who benefit from two rest periods a day. Crafting is part of our weekly programming and our pre-school classroom is equipped with little tables, chairs, and lots of other materials for little people. We will also do some pre-school learning activities which can take place at the table or will happen on the carpet in circle time. A regularly sanitized and clean bathroom is provided just off the playing area for toilet training and fully trained use. This washroom is equipped with a child's size potty, a child's toilet seat, and a stool to access the sink. A clean and sanitized area is also provided for diaper changes. All that and we've only covered the inside! Outside, Bugaboo boasts a large fenced in back yard with access to a large, beautiful green space directly behind us. I believe that children should be spending a large quantity of their childhood outside and the outdoor equipment I have to offer certainly makes our outside time a blast! Our back yard has a large assortment of balls, trucks, cars, water table, and sandbox. 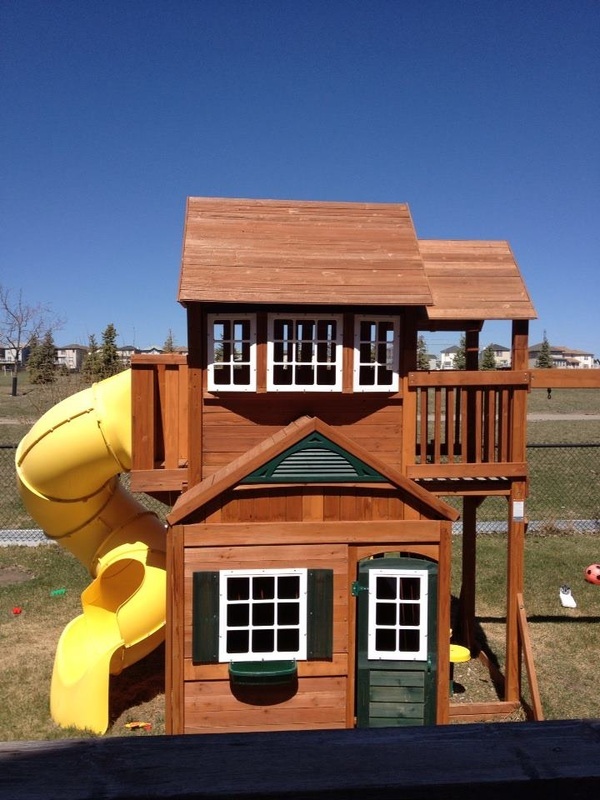 I also offer a two-story children's play house complete with swings and tube slide. Bugaboo Day Home offers children a safe, clean, and fun environment with areas conducive for eating, sleeping/resting, crafting, pre-school learning and of course playing.